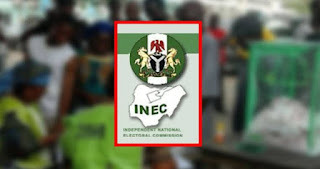 The Independent National Electoral Commission has commenced sorting and counting of ballots at the ongoing supplementary election in Ibeju - Lekki State Constituency I on Saturday. A correspondent reports that voting has ended in most of the nine polling units where the supplementary election is taking place in the area. At polling 004 and 005 of Ward 01 located at the premises of Customary Court , INEC officials started the crossing of unused ballot papers at 2 : 05 p. m. , while sorting and counting commenced immediately. The situation was the same at polling unit 06 of the same ward situated at the junction of Ajewole street in the area. The exercise is being carried out under the watch of various security agencies in the presence of political party representatives. It was gathered that INEC in Lagos State is conducting supplementary election in nine polling units of Ibeju - Lekki State Constituency I for the Lagos State House of Assembly seat. The commission had declared the March 9 House of Assembly election in the constituency inconclusive due to over - voting in the nine polling units covering two registration areas of the constituency. The affected polling units in Ibeju registration area I are polling units 001 , 003 , 004 , 005 , 006 , and 009 , while that of Iwerekun registration area I are polling units 002 , 004 , and 005.